Hope you come back for the mini challenge. Great list! Thanks for sharing, and for visiting my blog. Have fun! This will be my first Bloggiesta, and I too will be hosting a challenge. I don’t do Pintrest, so I could definitely use some tips on how to make things better for my readers who do. BTW: When I clicked on the Twitter button in your sidebar, Twitter gave me an error message. I had to search your blog name to find you. In case it helps anyone else, it turns out I had put in the entire URL and the buttons only needed my username. I always check out past mini-challenges too. It gets the juices going for ways to improve my site. Good luck this weekend! Thank you, Whitney. Good luck to you, too. I love your list of things to do. I am going to have to check out the memes thing! I also have a few things to fix on my own blog. I’m so glad that we met. Do you do more physical book reading rather than e-books? Good to meet you, too. Maybe we’ll run into each other at a meme. As for your question, I do read physical books mostly. For plotting, nothing beats being able to mark up a book to help visualize where the turning points are, etc. Love your to-do list! Looks like we have several similar goals this time round, so good luck to us both! Going to check out your link to the book blogging memes, as I’ve been looking for something new to do. You have a great list! Good luck and Happy Bloggiesta! Thanks Steph. I see you’ve made great progress on your list. I’ve been too busy visiting everyone else. Time to knuckle down. You’re doing great! I like that your list is pretty short. I always make my list way too long and hardly get any of it done. 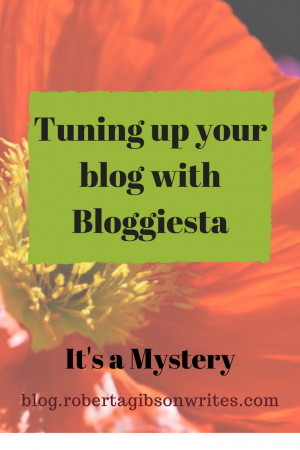 But I’m trying to sneak in some last-minute tasks today before Bloggiesta is over! Good luck to you with the rest of your list! First of all…very nice blog. I need to take a look at the Pinterest tips.